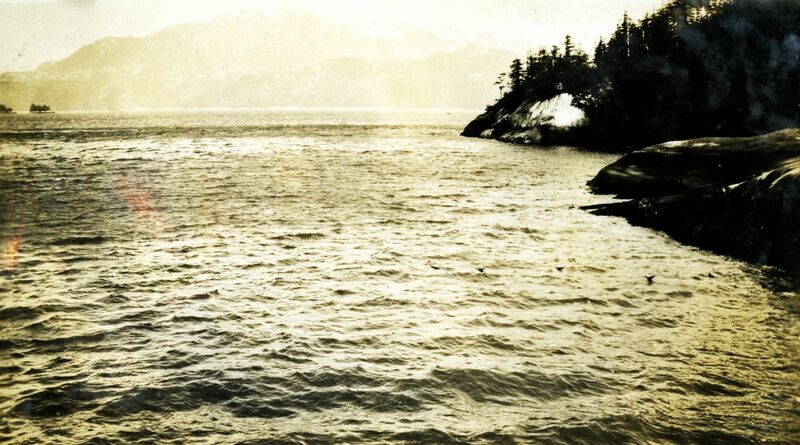 Photograph depicts a view of water with snowy shoreline on the right and mountains in the misty distance. Handwritten annotation below photograph reads, "Taken at Naas Harbour, B.C. ".